often used in high strength bead wire, lr pc steel wire and music wire, this type of rod is made from high-carbon steels with excellent filamentary drawability, high strength and fatigue resistance. 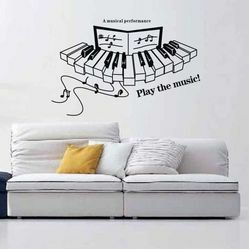 Share your passion with your walls by applying our Musical Piano Decals. Choose from diffrent instruments Decals or Musical Notation Decals and add Tunes to your room walls. Our organization is offering Thumb Piano (TP03) to our clients. This is an educational percussion rhythm instrument with metal tines. This product is above from all the similar products from our competitors. This type of rod, widely used in high-strength bead wires, LR PC steel wires and music wires, is made from high-carbon clean steels with excellent filamentary drawability, high strength and fatigue resistance. Combines all the realism of a fine acoustic piano with functionality available only from the world's best digital pianos. Music lovers love all things music! Gift them this enchanting silver plated piano case that will make them treasure you and their passion forever.